The Church of Our Lady of the Immaculate Conception or commonly known as the Baclayon Church in Baclayon, Bohol is the second oldest stone church in the Philippines and it firmly stands as a proof to the boholanos devotion to their faith. It was exquisitely made from coral stones and was cemented using the white of over 1 million eggs. La Purisima Concepcion de la Virgen Maria Parish Church (also The Immaculate Conception of the Virgin Mary Parish Church), commonly known as Baclayon Church, is a Roman Catholic Church in the municipality of Baclayon, Bohol, Philippines within the jurisdiction of the Roman Catholic Diocese of Tagbilaran. Baclayon was founded by the Jesuit priest Juan de Torres and Gabriel Sánchez in 1596, and became the oldest Christian settlement in Bohol. It was elevated as a parish in 1717 and the present coral stone church was completed in 1727. The Augustinian Recollects succeeded the Jesuits in 1768 and heavily renovated the church since then. 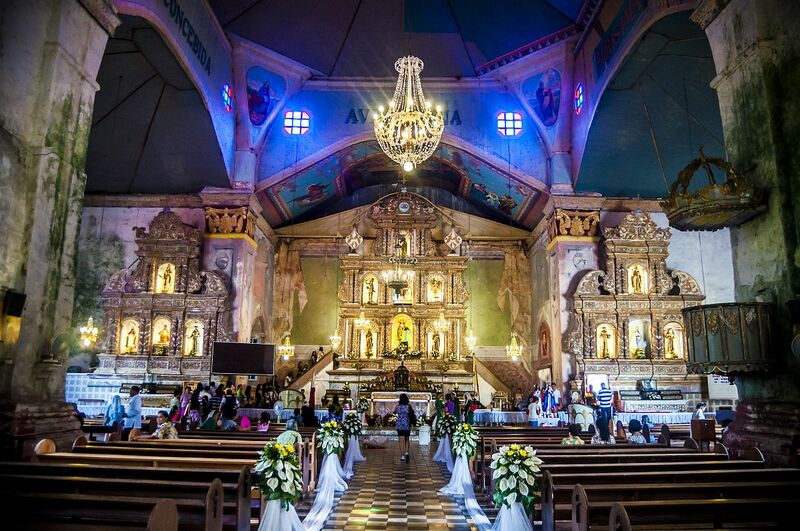 The church was declared a National Cultural Treasure by the National Museum of the Philippines and a National Historical Landmark by the National Historical Commission of the Philippines. 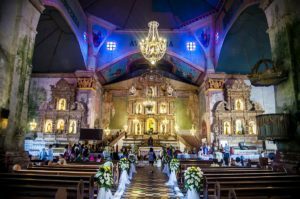 Together with the churches of Maragondon, Loboc and Guiuan, the Baclayon Church was formerly included for the UNESCO World Heritage Tentative List of the Philippines since 1993 under the collective group of Jesuit Churches of the Philippines.